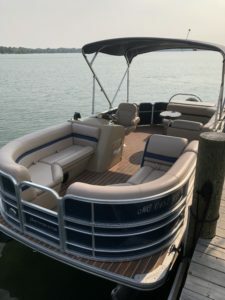 Pontoon Details – This boat for rent or for sale! 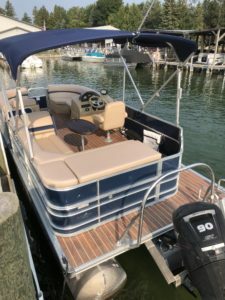 This is a 2017 Berkshire, 20′ Berkshire Pontoon with Mercury 90HP Four Stroke Motor. This pontoon has Navy Blue exterior. 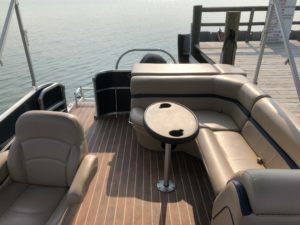 Upgrades include25″ Tubes, Teak Vinyl Floor and a Depth/Fish Finder. Two available for sale or rent!